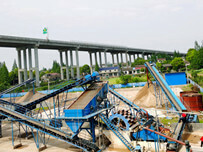 ﻿ What is spiral sand washing and fines recycling machine? 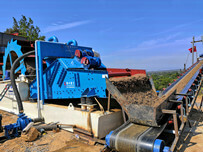 Location: Home » NEWS » What is spiral sand washing and fines recycling machine? What is spiral sand washing and fines recycling machine? Spiral sand washing machine is one kind of sand washing equipment, which can wash 0-30mm sand and gravels. 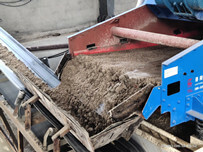 The sand and gravels are needed 3 minutes to wash from feeding to output, because of the long tub of spiral sand washing machine. So the material can be washed fully. So the spiral sand washing machine can wash the high mud content material. But there is a fatal flaw of spiral sand washing machine, that is serious amount of fine sand loss than wheel sand washing machine. So we designed and developed a combination of spiral sand washing machine and fine sand recycling machine—Spiral sand washing and fines recycling machine. 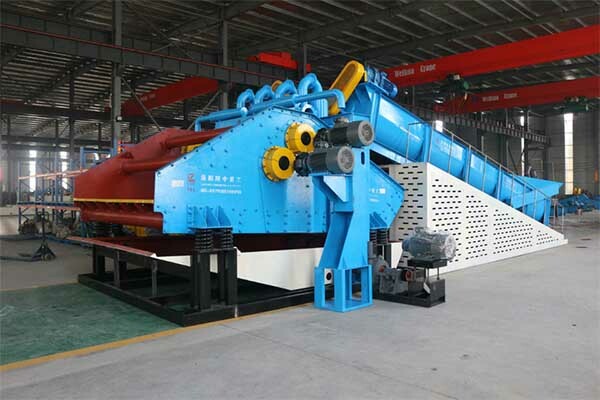 The spiral sand washing and fines recycling machine is a high efficient and multi-functional water washing equipment, which is composed of spiral sand washing machine and dewatering screen and hydrocyclones. Compared to the cost of purchase equipment alone, the choice of spiral sand washing and fines recycling machine is undoubtedly more cost-effective. 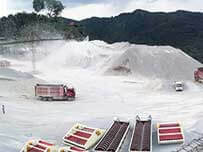 Previous：What is called sand making production line?